New Exchangers - Metalforms, Ltd. Since 1968, Metalforms has been an industry leader in the design and manufacture of shell and tube heat exchangers. Our in-house design engineers have the knowledge and expertise to perform complex thermal, vibrational, and mechanical evaluations and design your new exchanger to meet your specific process needs. Metalforms’ team of expert craftsmen along with our quality assurance department ensure that all industry and customer specifications are stringently upheld. 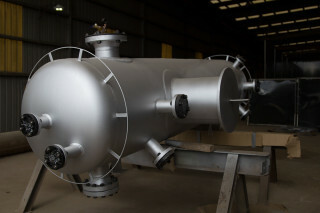 We can also design and fabricate to an extensive list of metallurgies in order to meet your specific requirements.